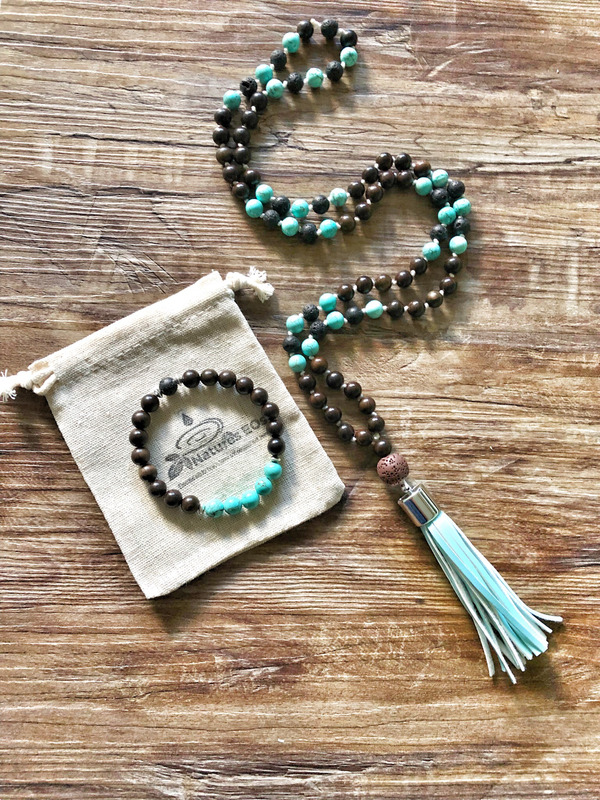 Mala inspired necklace with Turquoise beads knotted with lava rock, Wood beads with tassel and Turquoise and Wood Aroma bracelet. This set is made to order. Please allow 2-3 days to complete the set!